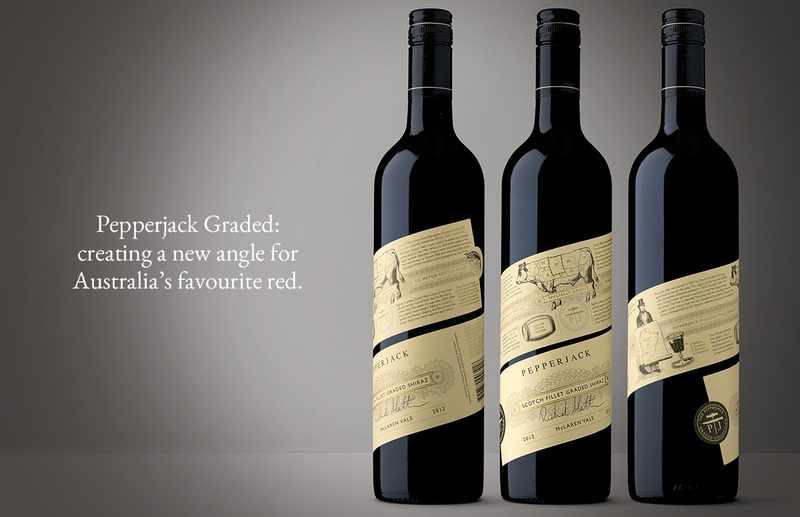 Pepperjack Graded: creating a new angle for Australia's favourite red. 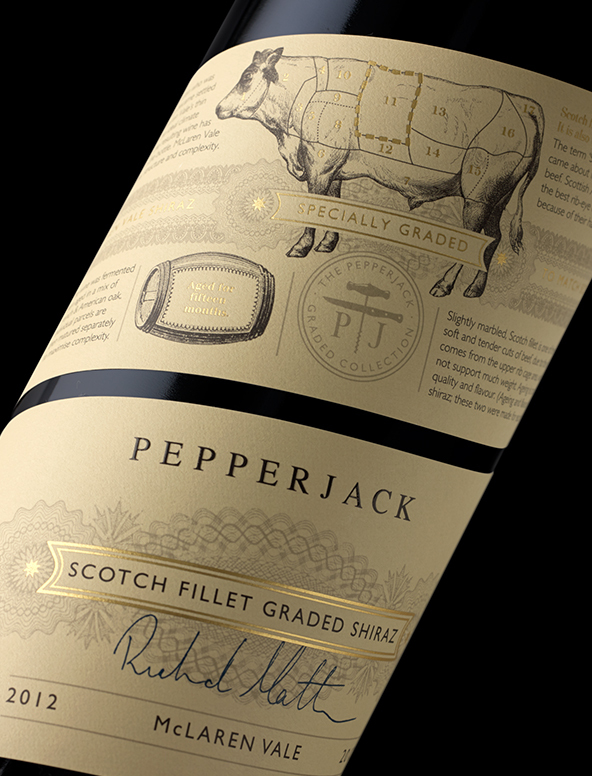 Pepperjack is the No.1 red wine by value in Australia, and its distinctive label features a narrow cream strip applied at an angle to the bottle. 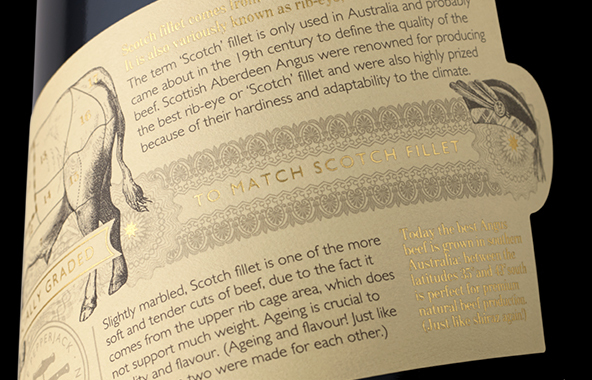 We were asked to create a limited release label for the brand that would be positioned as the perfect wine to drink with steak. 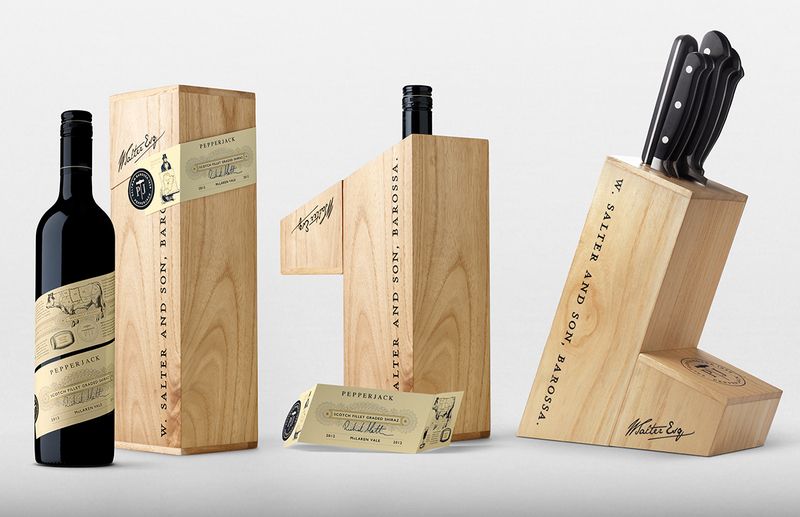 Our solution was to keep the label at the same angle as the original but wrap it completely around the bottle, telling the wine and steak-matching story. 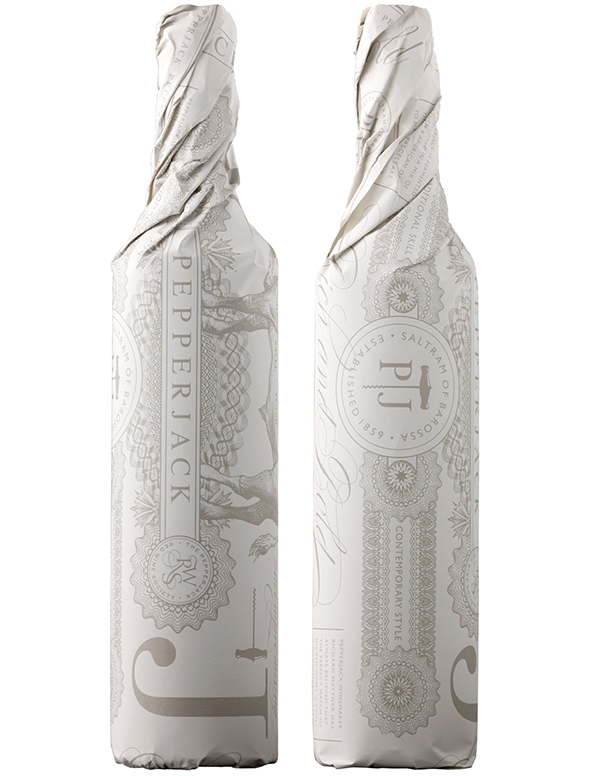 From butcher paper wrapping to gifting that transforms into a knife block, everything about the Pepperjack Graded packaging links the brand to its positioning as the wine you drink with steak.